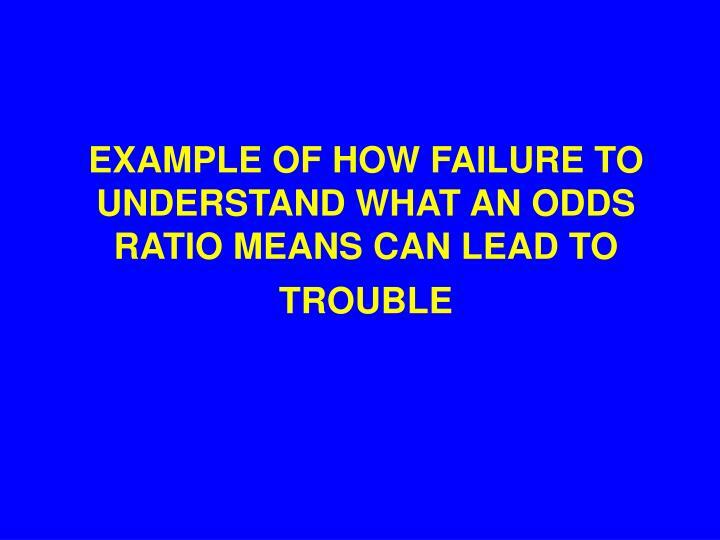 Thus a risk is a proportion,	But an odds is a ratio. 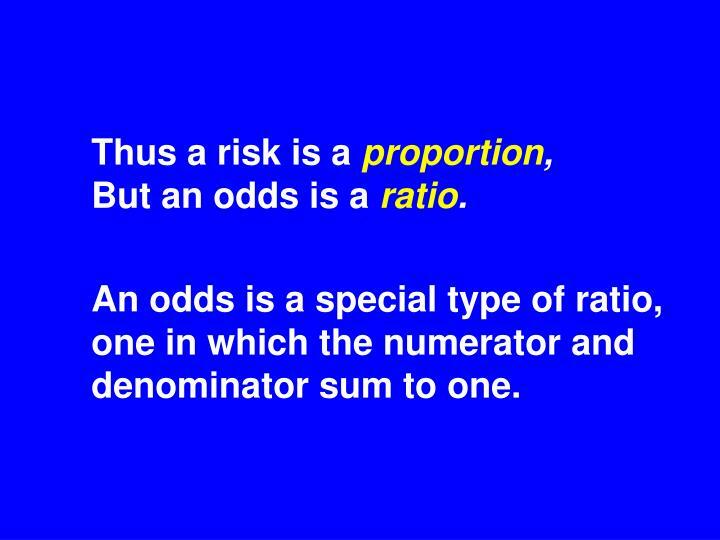 An odds is a special type of ratio, one in which the numerator and denominator sum to one. Example 1. Bookies are taking bets on the World Series. They are giving 3:1 odds on the Yankees. What does this mean? 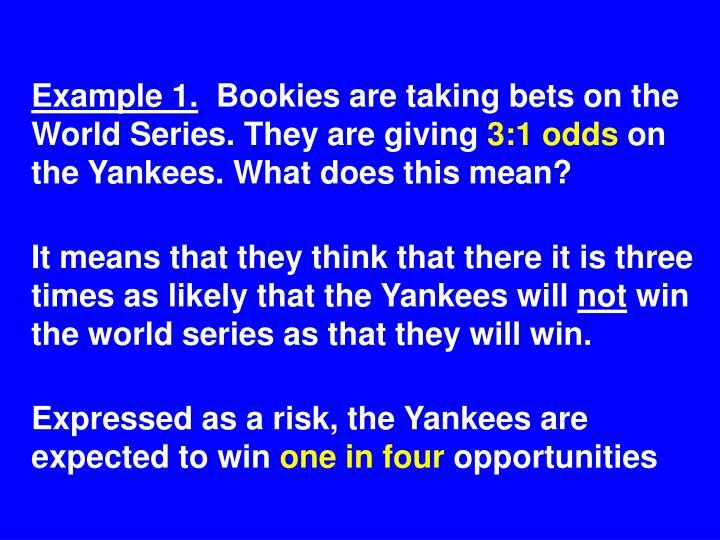 It means that they think that there it is three times as likely that the Yankees will not win the world series as that they will win. Example 2. 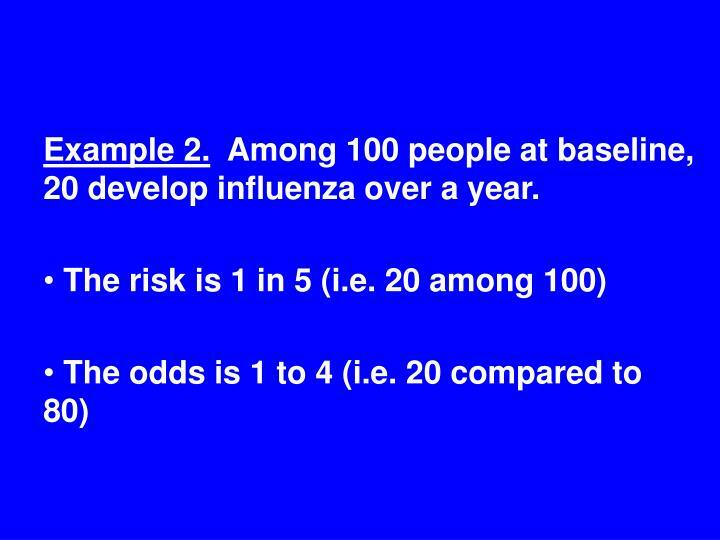 Among 100 people at baseline, 20 develop influenza over a year. 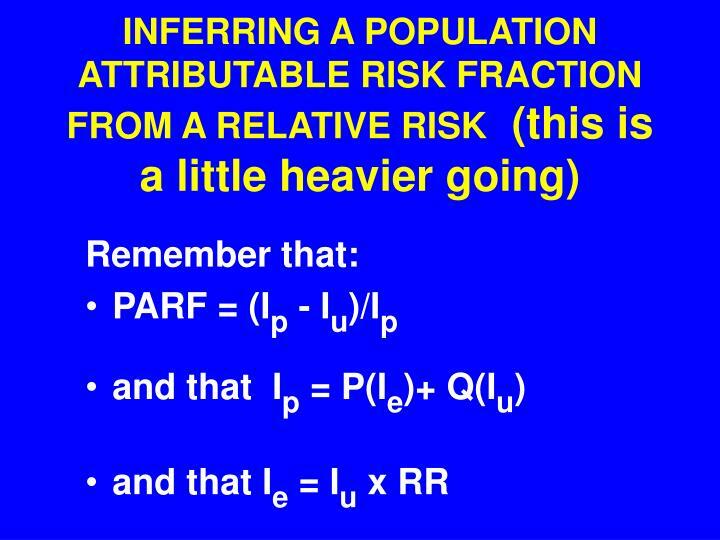 The relative risk is a ratio of two risks. 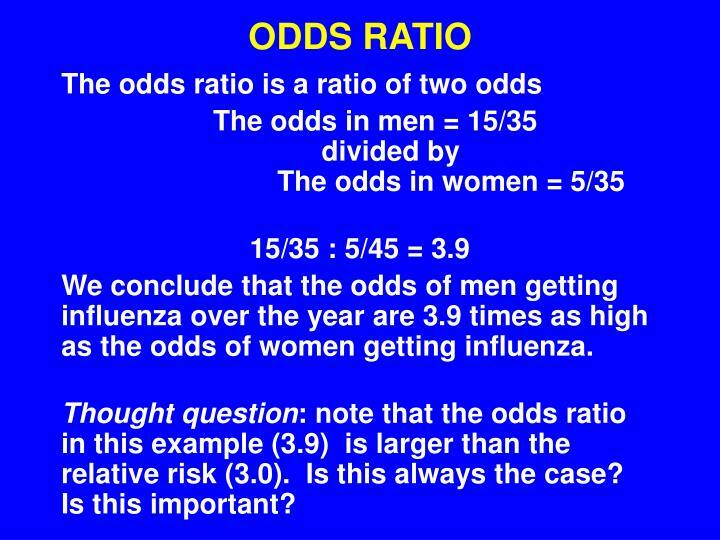 We conclude that the odds of men getting influenza over the year are 3.9 times as high as the odds of women getting influenza. 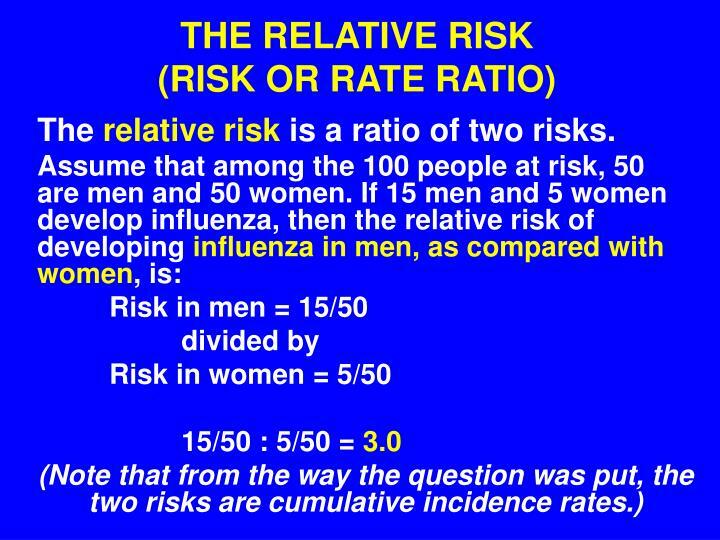 Thought question: note that the odds ratio in this example (3.9) is larger than the relative risk (3.0). Is this always the case? Is this important? 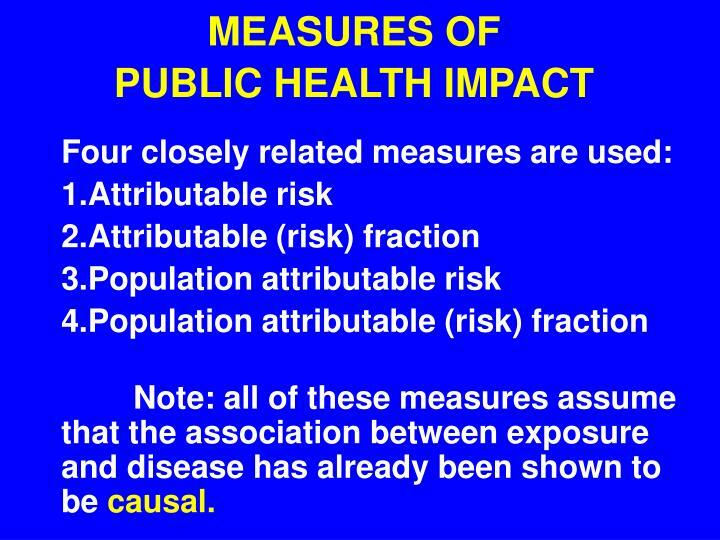 Note: all of these measures assume that the association between exposure and disease has already been shown to be causal. The incidence of disease in the exposed population whose disease can be attributed to the exposure. 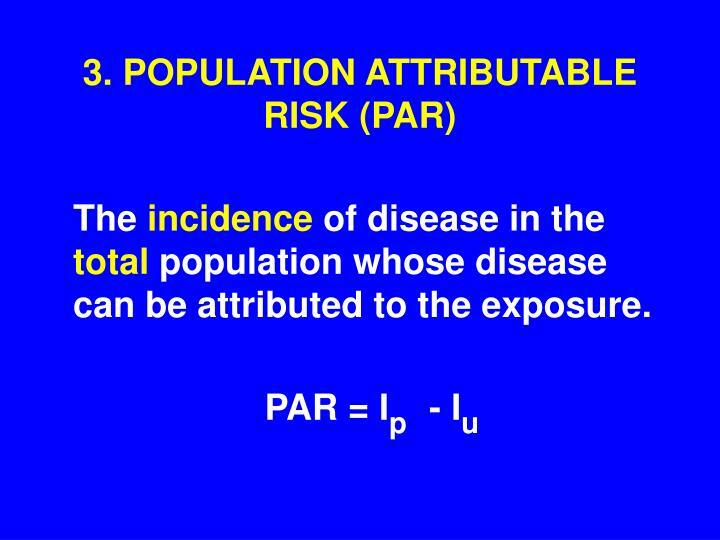 The proportion of disease in the exposed population whose disease can be attributed to the exposure. 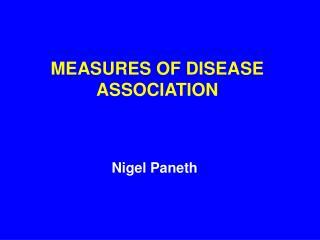 The incidence of disease in the total population whose disease can be attributed to the exposure. 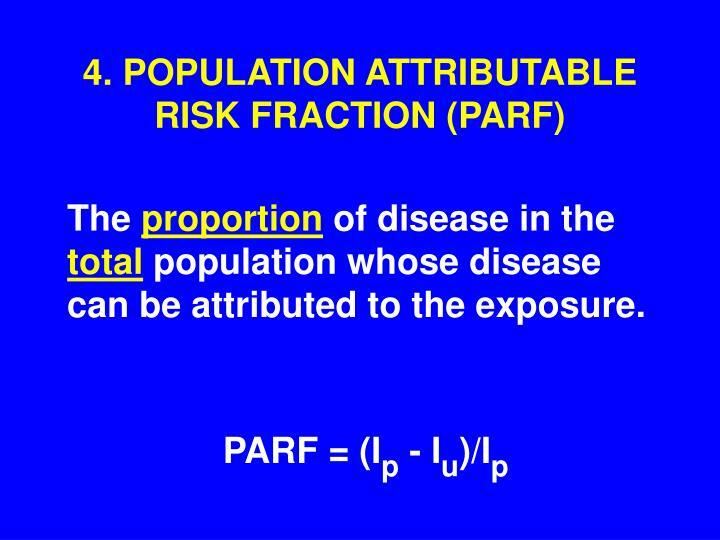 The proportion of disease in the total population whose disease can be attributed to the exposure. 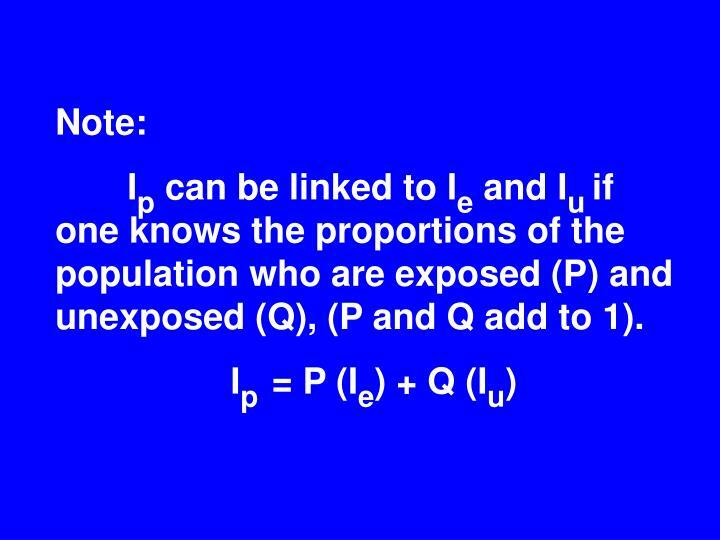 Ip can be linked to Ie and Iuif one knows the proportions of the population who are exposed (P) and unexposed (Q), (P and Q add to 1). 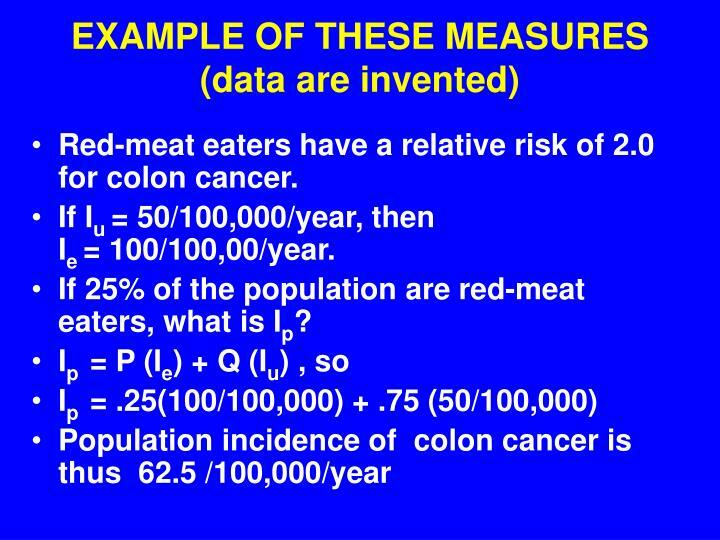 Red-meat eaters have a relative risk of 2.0 for colon cancer. If Iu = 50/100,000/year, then Ie = 100/100,00/year. If 25% of the population are red-meat eaters, what is Ip? 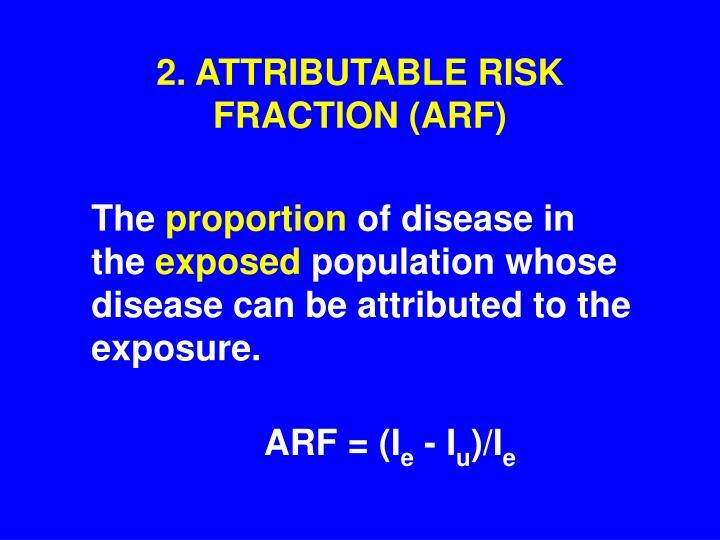 In other words, if we find a truly causal relative risk of 2.0 for a disease in relation to an exposure, we can assume that 50% of the disease in the exposed population is due to the exposure. 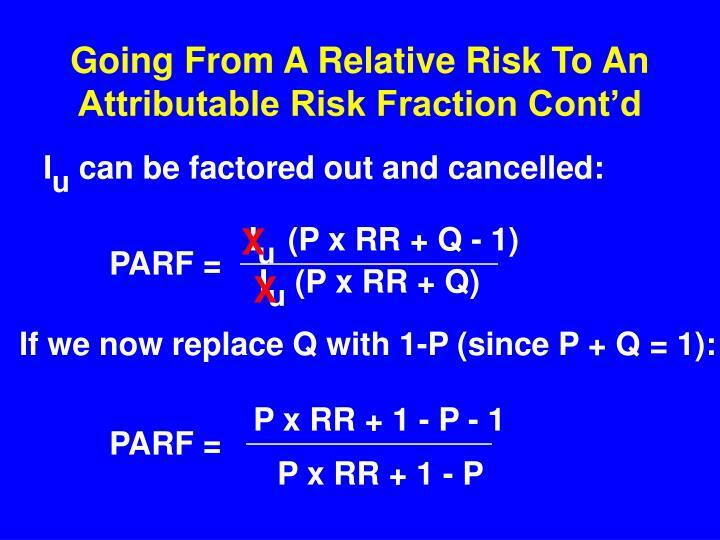 Since the courts use a probability of 50% or greater as a threshold in liability cases, RR of 2.0 has recently taken on great significance in lawsuits. 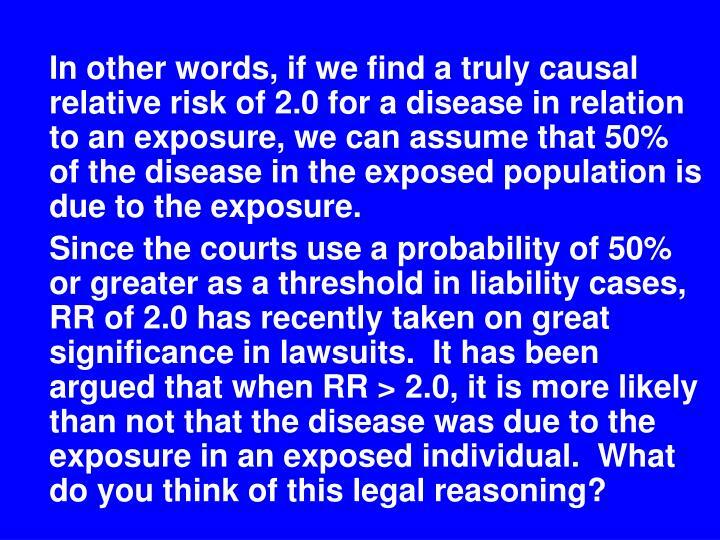 It has been argued that when RR > 2.0, it is more likely than not that the disease was due to the exposure in an exposed individual. What do you think of this legal reasoning? 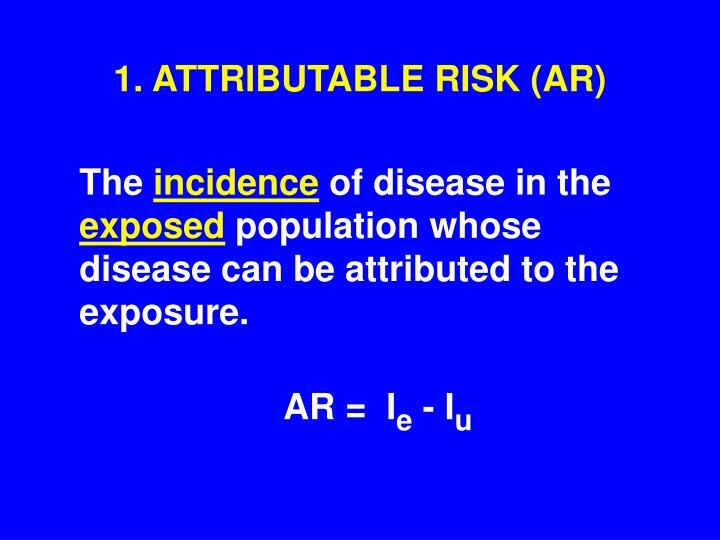 In other words, if we find a truly causal relative risk of 2.0 for a disease in relation to an exposure, and if 50% of the population has the exposure, then 33% of the disease in the population is due to the exposure. 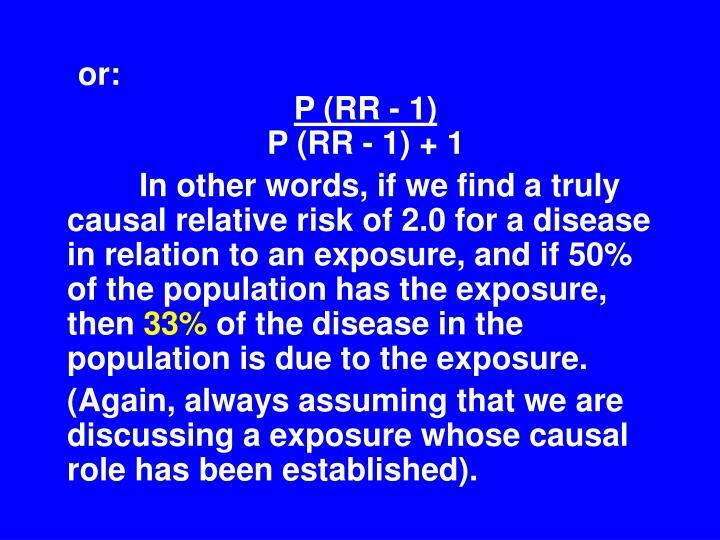 (Again, always assuming that we are discussing a exposure whose causal role has been established). 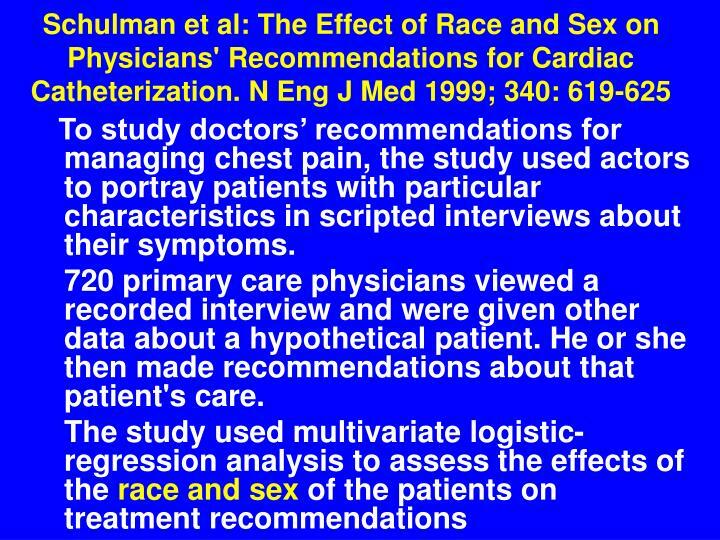 To study doctors’ recommendations for managing chest pain, the study used actors to portray patients with particular characteristics in scripted interviews about their symptoms. 720 primary care physicians viewed a recorded interview and were given other data about a hypothetical patient. 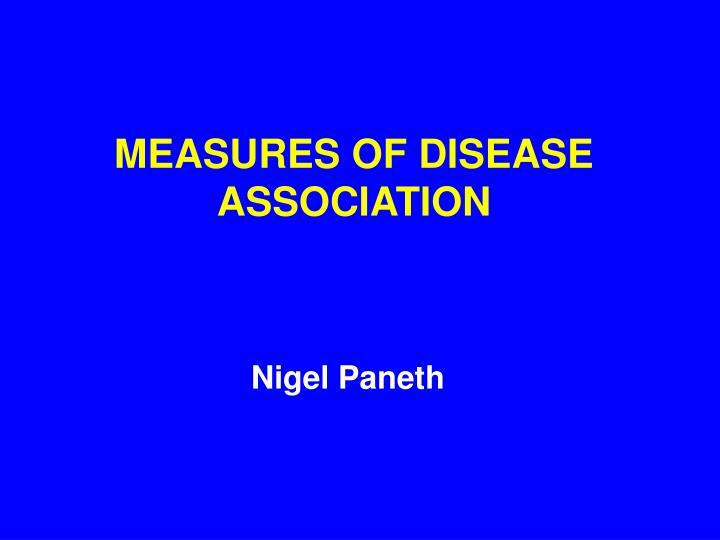 He or she then made recommendations about that patient's care. 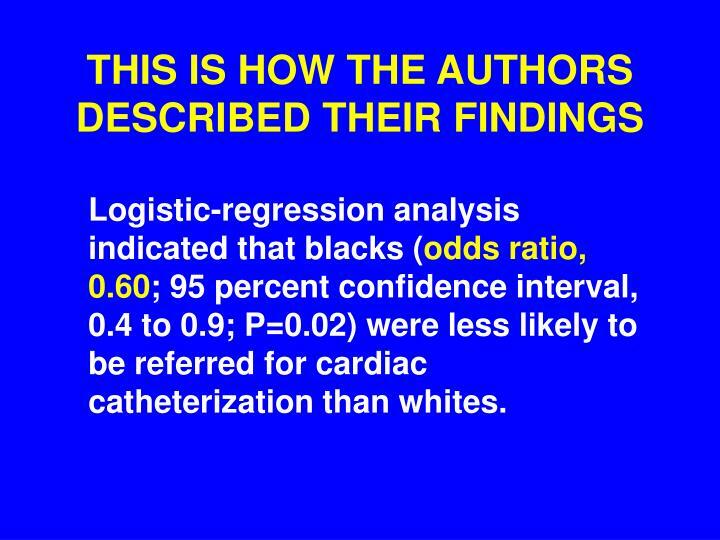 Logistic-regression analysis indicated that blacks (odds ratio, 0.60; 95 percent confidence interval, 0.4 to 0.9; P=0.02) were less likely to be referred for cardiac catheterization than whites. However, a follow up published in the Journal recently concluded that the likelihood of women and blacks being referred for the tests was actually 7 percent less than for men and whites. 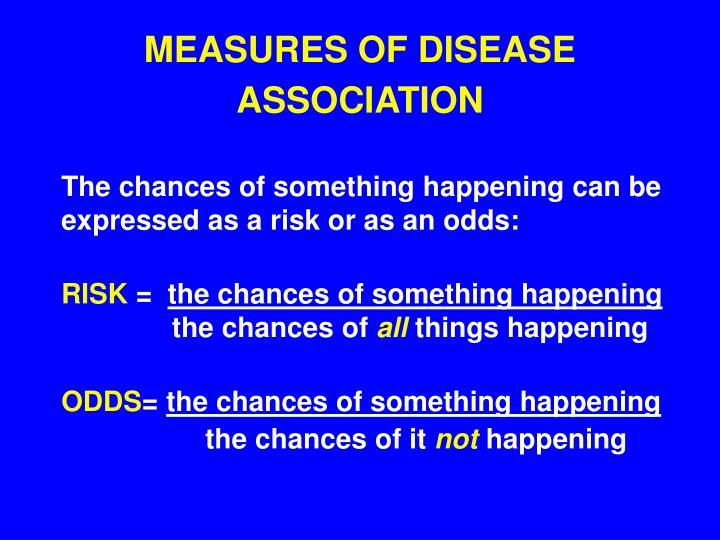 The follow up, written by Dr. Lisa M. Schwartz and others from the VA Outcomes Group in White River Junction, Vt., said the misunderstanding resulted from the original study's use of an "odds ratio" to report the differences rather than a more commonly used "risk ratio." 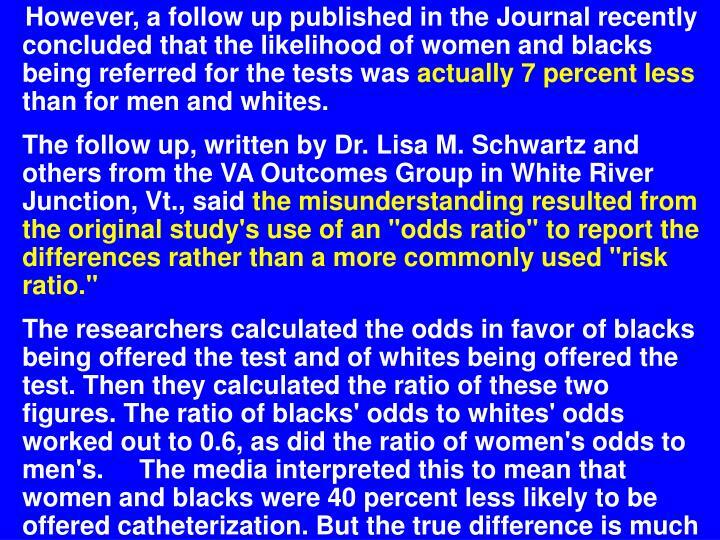 The researchers calculated the odds in favor of blacks being offered the test and of whites being offered the test. 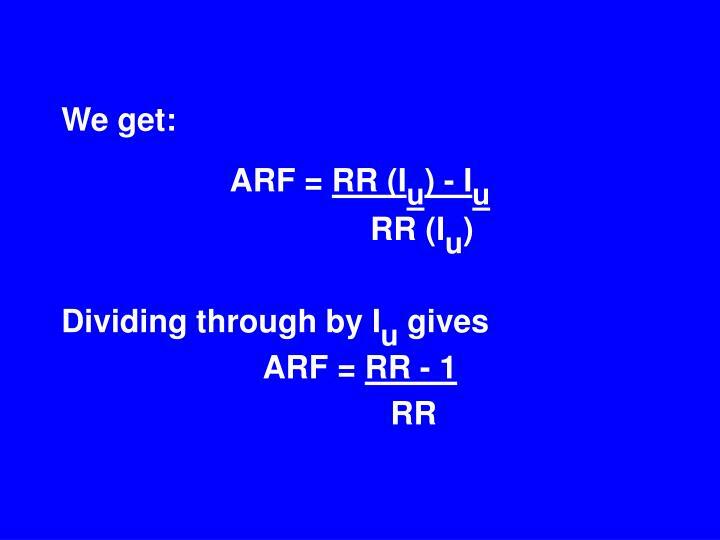 Then they calculated the ratio of these two figures. 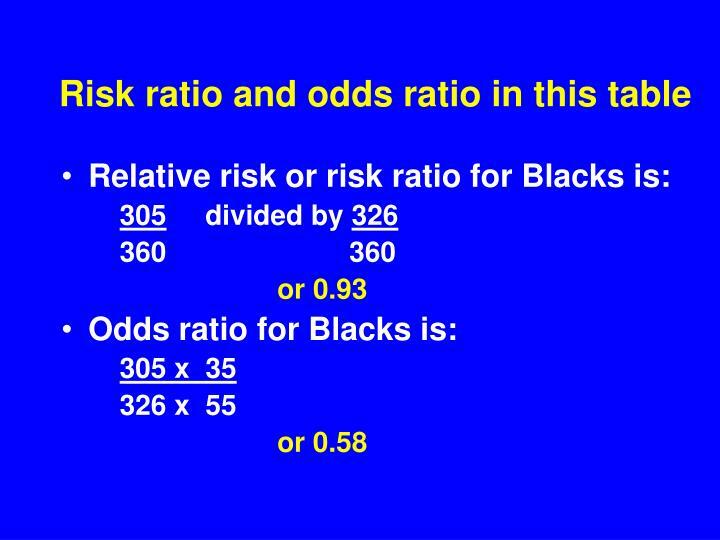 The ratio of blacks' odds to whites' odds worked out to 0.6, as did the ratio of women's odds to men's. 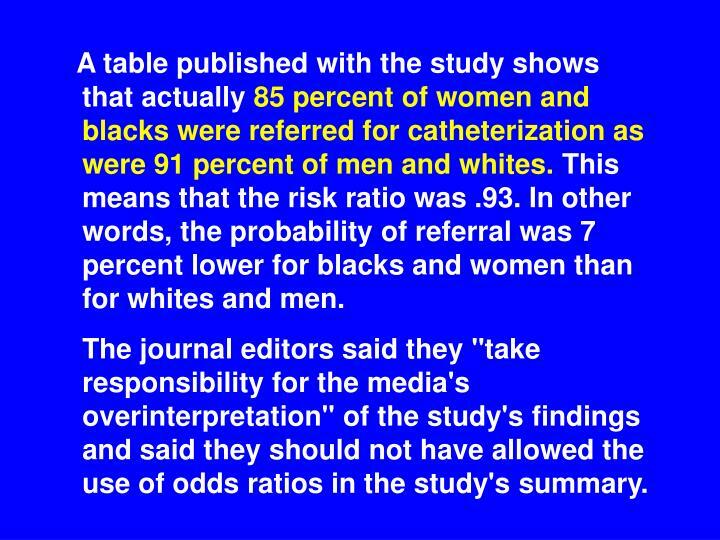 The media interpreted this to mean that women and blacks were 40 percent less likely to be offered catheterization. But the true difference is much smaller. 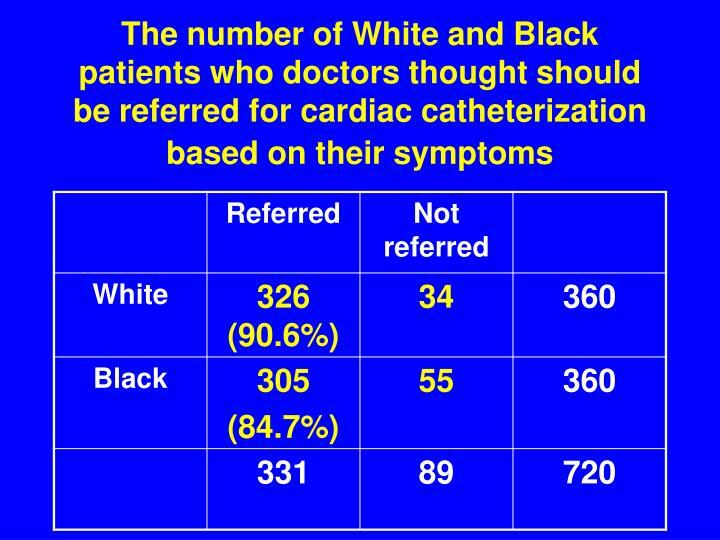 A table published with the study shows that actually 85 percent of women and blacks were referred for catheterization as were 91 percent of men and whites. 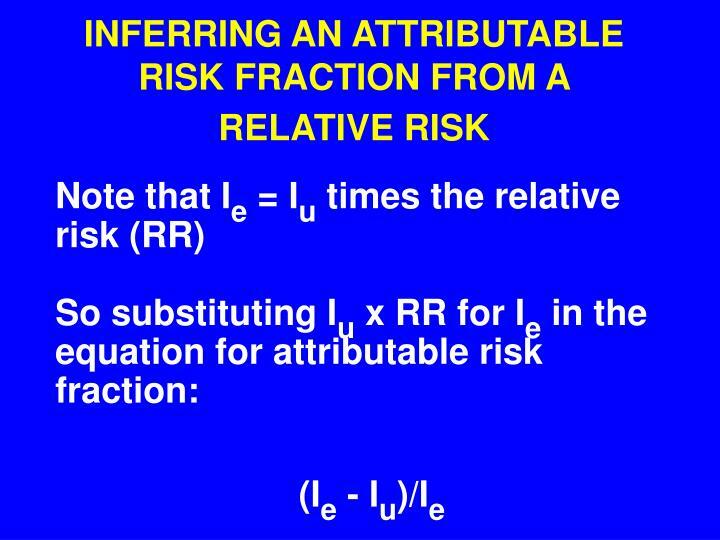 This means that the risk ratio was .93. 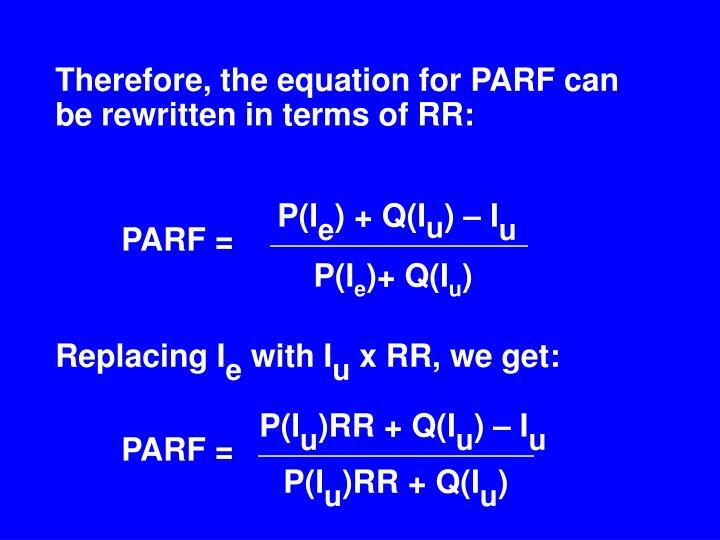 In other words, the probability of referral was 7 percent lower for blacks and women than for whites and men. 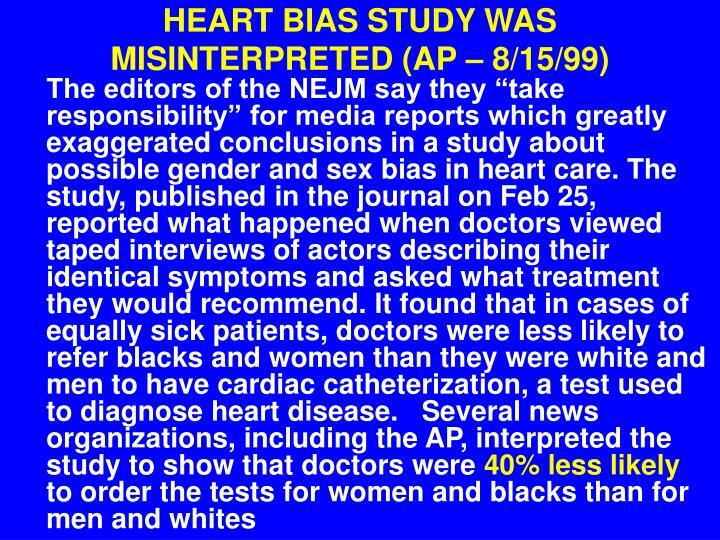 The journal editors said they "take responsibility for the media's overinterpretation" of the study's findings and said they should not have allowed the use of odds ratios in the study's summary.